Keto Can Be Easy and Delicious, Including BROWNIES! I’m that annoying person who if you tell them about an ailment or how you would love to lose some weight will immediately dive into a diatribe on why you should eat Keto and how it will solve all of your problems. I can’t help it, but at least I can admit it. I am a Keto Fanatic and I freely admit that fact. I talk about Keto like I’m a KPop fangirl because it has really changed my life in ways I did not imagine it would. And it’s not just me. I polled a bunch of Keto friends who list all of their unintended but postive Keto Side Effects. But that’s not what I’m here to talk about today. Recently someone tried to tell me that Keto recipes looked “too hard” and that you had to cook “weird things”. I don’t find that to be true at all. There are a few things that I buy now that I didn’t pre-Keto, but they have just become part of my normal shopping at this point and aren’t really hard to find. And cooking Keto is basically the same as cooking normal. In that it is equally annoying if you don’t like to cook. And I don’t, really. I’m more into eating than cooking. So to help dispel that myth that Keto food is “weird”, I thought I would share some things that I make each week that are Keto friendly and not particularly hard to make. Not any harder than normal food. Oh, what? You didn’t know you can have brownies on Keto? Oh, you can. And they are delicious. I swear you will not feel brownie deprived on the Keto diet. In fact there are all sorts of Keto Desserts you can still enjoy while on Keto. You can find the recipe for these at Fit To Serve. 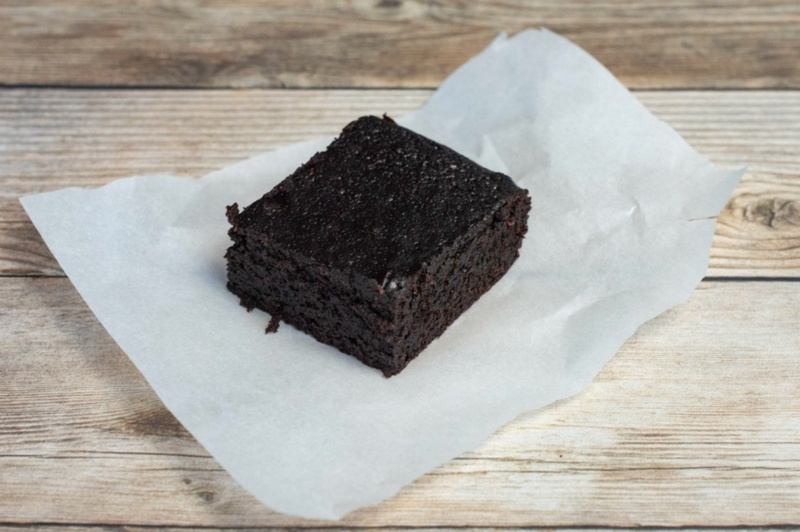 These keto brownies are dense and very chocolatey. One of the things I love about Keto is that the baked goods I’ve made tend to be very, sort of, saturated with flavor. So if I eat one of those brownies, I don’t need to also eat ALL of the brownies. The pan I made last week lasted for the whole week. I ate brownies all week for dessert. Or breakfast. These do require Almond flour and also Erythritol which I KNOW, WEIRD! But I’ve got a couple of brands that I love that are as close to sugar as you need to be without complaining that things taste “weird”. I have a local grocery store that sells Almond Flour for $7.99 for a pound bag, which is a great price around here for Almond flour. If you’d rather order from Amazon, this three pound bag of Bob’s Red Mill Almond Flour is $19.99. Which technically is cheaper than my grocery store. Sooo, guess I won’t be buying it from the grocery store anymore. Oops. If you have turned your nose up at the fake sugar used in the brownies, let me beg you to try one more type of fake sugar. 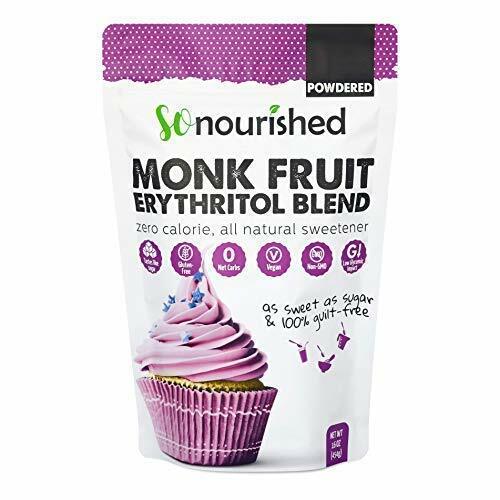 This is so far my very favorite sugar replacement. It’s a barely noticeable difference. Barely. More than close enough to make you feel like you are still eating a regular old brownie, I promise. I’m desperately in love with cookies. I will not lie to you and tell you that these are EXACTLY like a regular Tollhouse cookie. I mean, you can’t really replicate the heavenly bliss that is a hot out of the oven Tollhouse cookie. 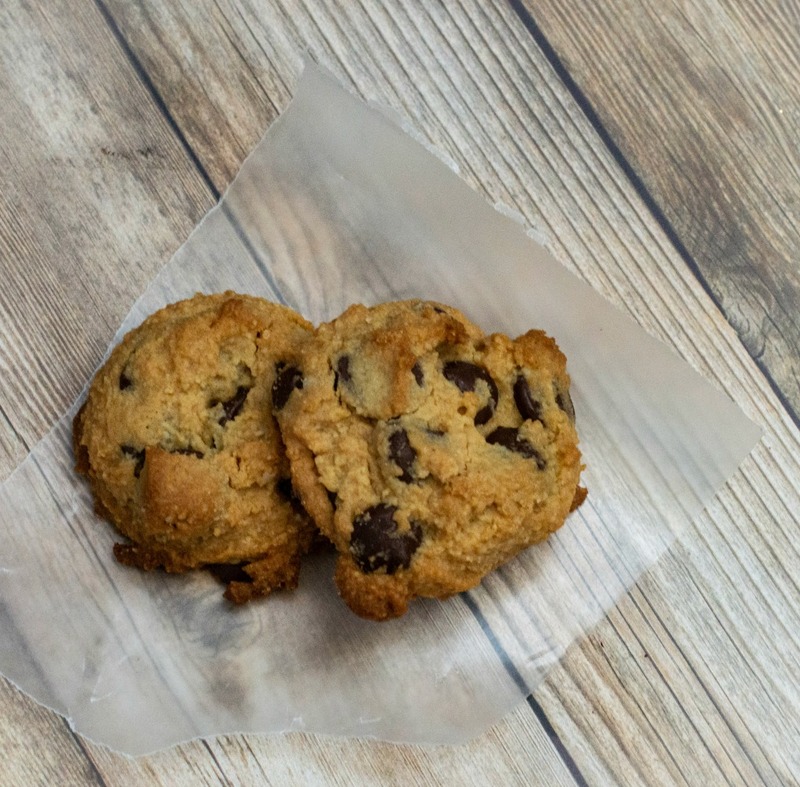 But these Keto Chocolate Chip cookies from The Mermaid with Muscles Blog are very close. The texture is a little different, but these are the best Keto cookies I’ve tried. Here’s how good these are. I made a batch and I purposely left a few because a friend of my brother’s is trying Keto to lose weight and feels like he’s missing out. So I purposely didn’t finish the last three cookies so that my brother could give them to his friend. Someone ate them. One of my kids, my husband, maybe even the cat. But someone stole those cookies! Guess I need to make a new batch. 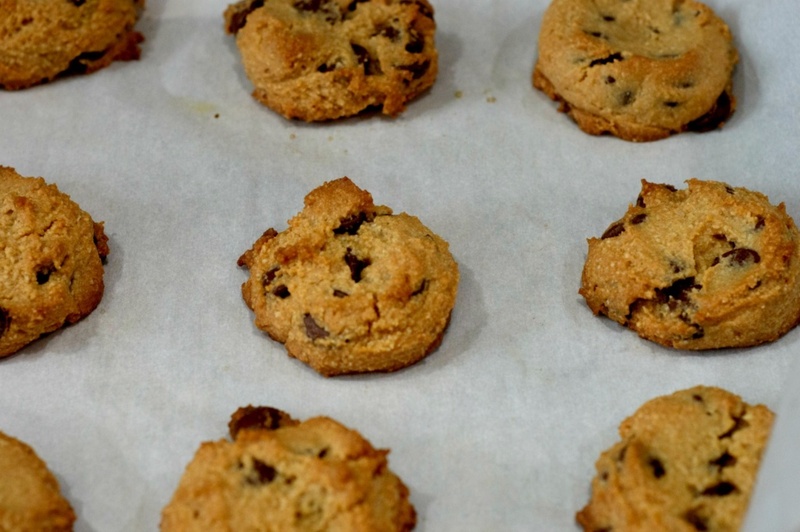 And they will most definitely cure your craving for a chocolate chip cookie. 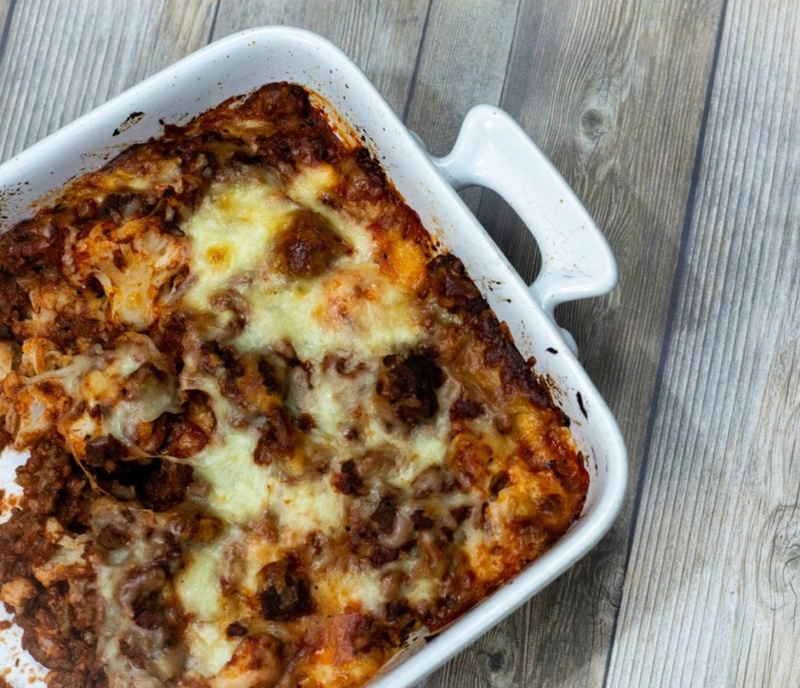 This faux Baked Ziti made with Cauliflower from Simply Stacie I have to say is better than regular baked ziti with pasta. For many of you, that is probably crazy talk. But, the texture of the cauliflower in this is quite nice. Better than pasta, in my opinion. And all of your other flavors are there. The sauce, the cheese, the Italian spices and ground beef. This is a favorite at my house and something I try to make every other week and keep in the fridge to reheat for lunches. Faux Baked Ziti is a cheap meal, too. Keto can be a little pricier when you are buying things like Almond flour, so it’s nice to have some recipes that are easy on the wallet. I hope you feel inspired to try making some Keto foods. These are three great recipes to start with. That Cauliflower Faux ziti lasts for a while in my house and I can eat for lunch for a few days after serving it for dinner. And, yes, my whole family will eat that, not just me the Keto mother. And brownies and cookies, I mean, you can’t go wrong there. If you are just starting on Keto, you should absolutely make one of these recipes to snack on throughout the week. 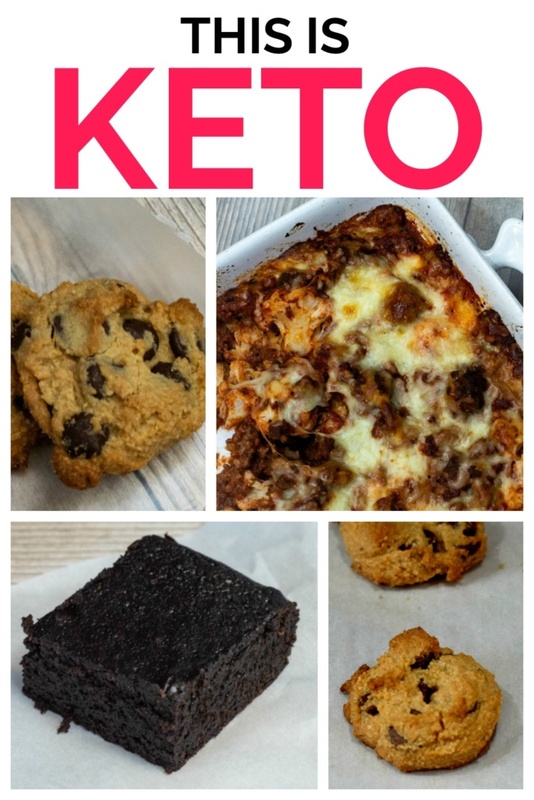 If the brownie or cookie is Keto friendly, there is no reason you can’t eat it for breakfast. If there’s a Keto recipe you’ve seen but have been hesitant to try because, “What if it’s awful?”, let me know! Drop me a link to it in the comments and I’ll give it a shot and report back!